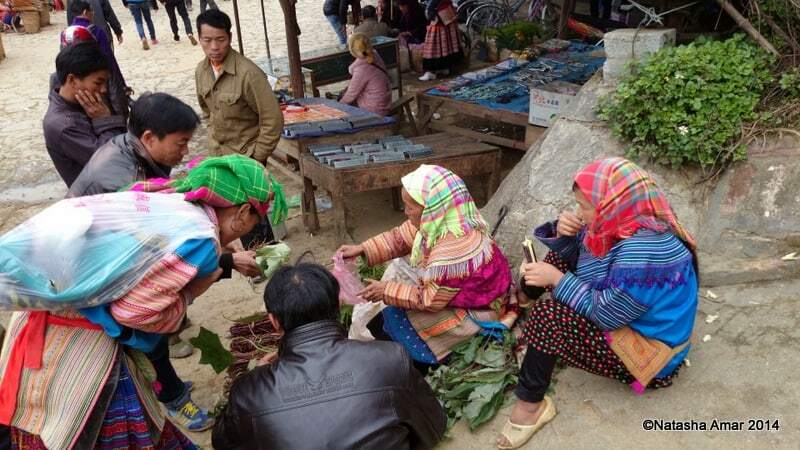 Bac Ha Market can be visited as a day trip from Sapa or Lao Cai and is a pure visual treat. 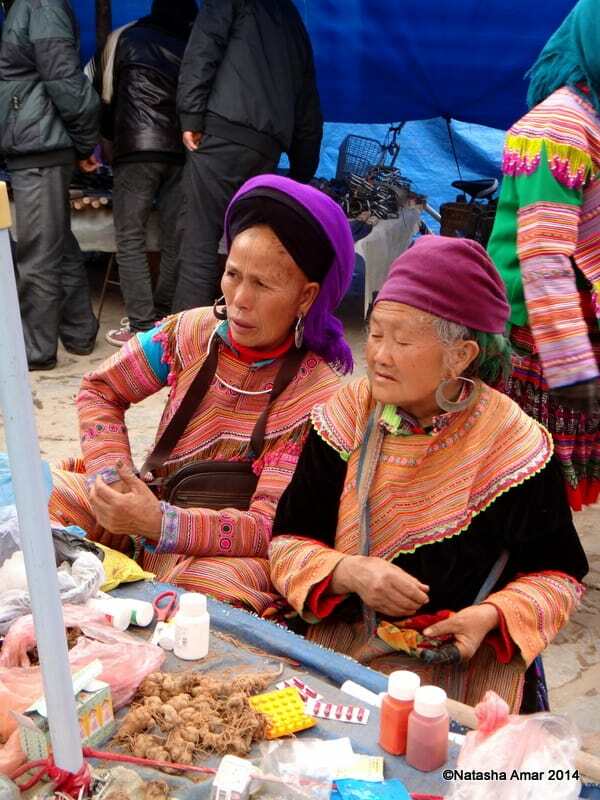 The surrounding villages are inhabited by the Flower Hmong people, one of the many tribes that live in the mountains and they set up shop in the market selling everything from clothes and spices to brooms. 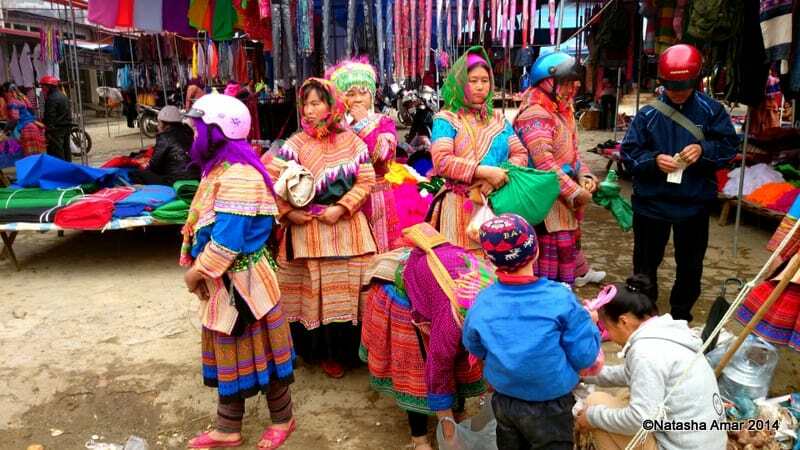 The Flower Hmong people are dressed differently than the other tribes such as the Black Hmong or Dzao people. 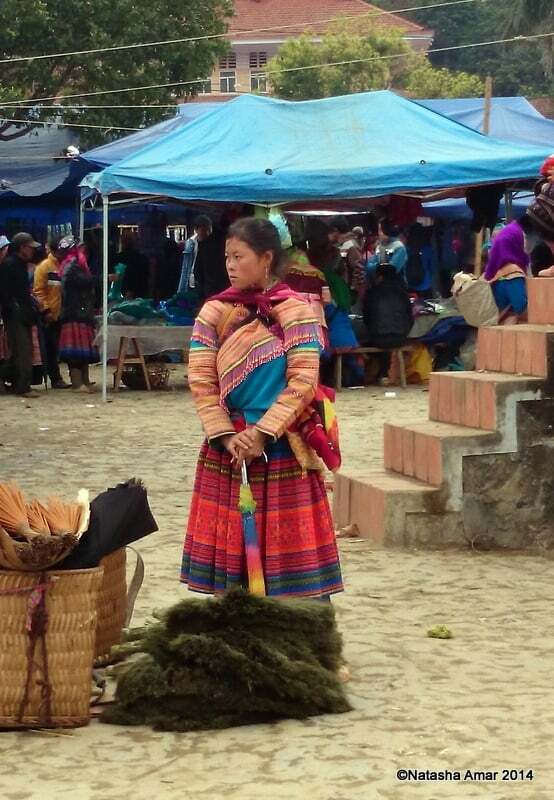 Their clothes are very brightly coloured and the women wear a lot of tribal jewellery. I love the colorful head scarves worn by the women and bought a bright blue and pink one myself. 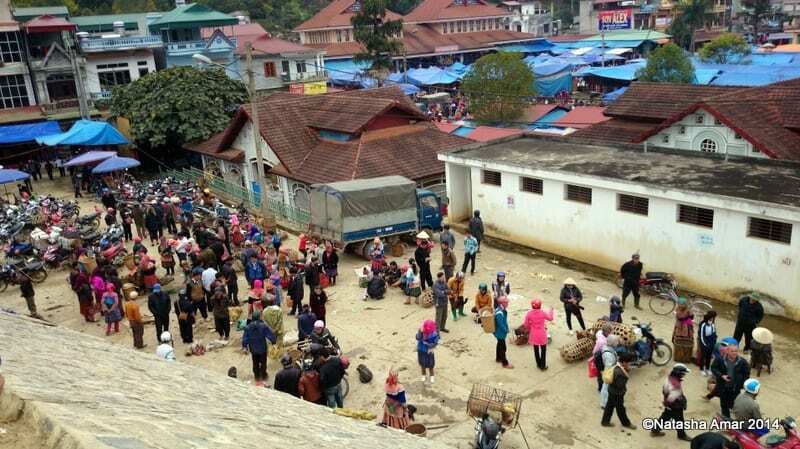 The market is frequented by a lot of tour groups but I have to admit that the prices were better than what I saw in the Sapa market where sellers often refused to bargain much. 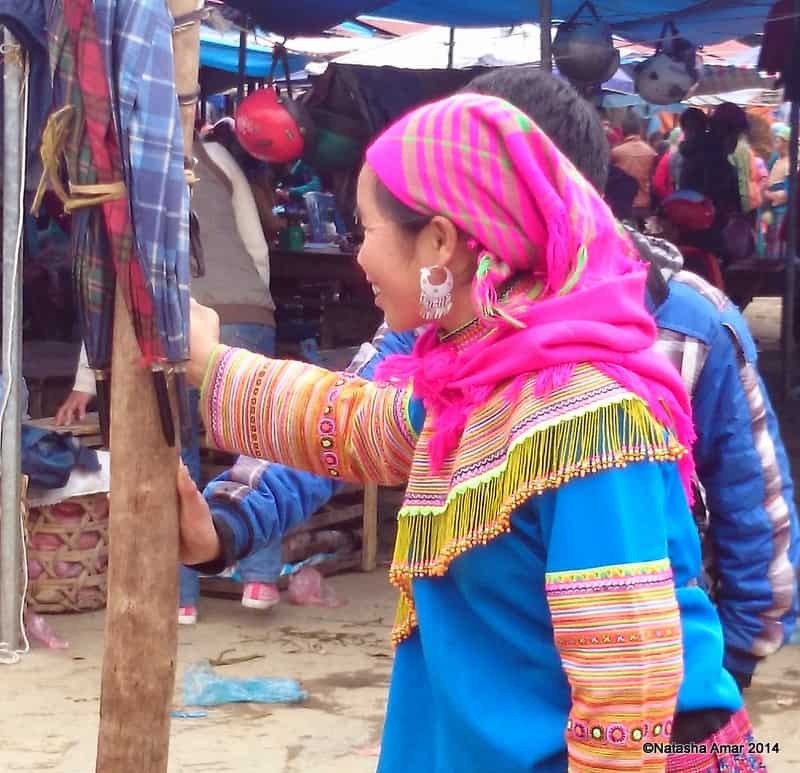 Some of the embroidered clothes, bags, handicrafts and other items were also very different in terms of design and quality (often better) from what is available in other tourist shopping areas in and around Sapa and in Hanoi. Exploring the market can easily take between three to five hours, even longer if you are looking to buy souvenirs or gifts for home. 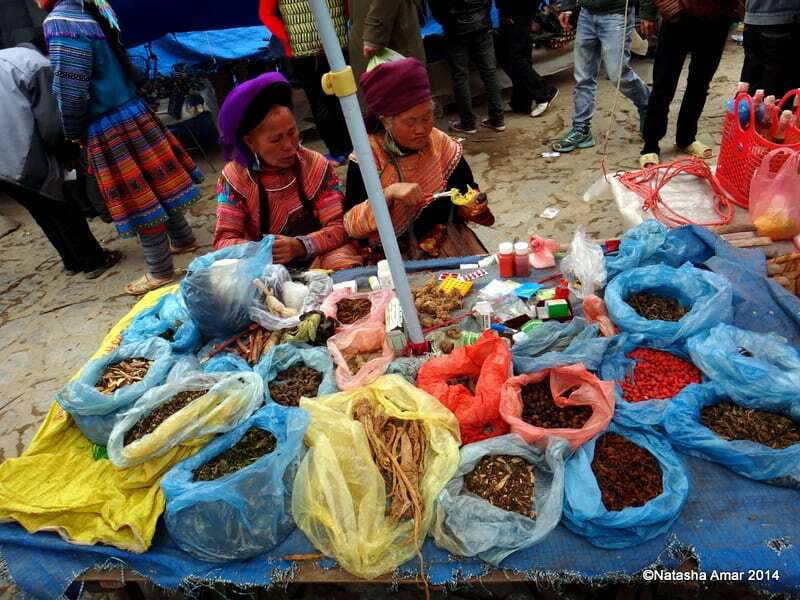 There are separate lanes or areas for handicrafts, clothes, bags, food, spices and even animals. 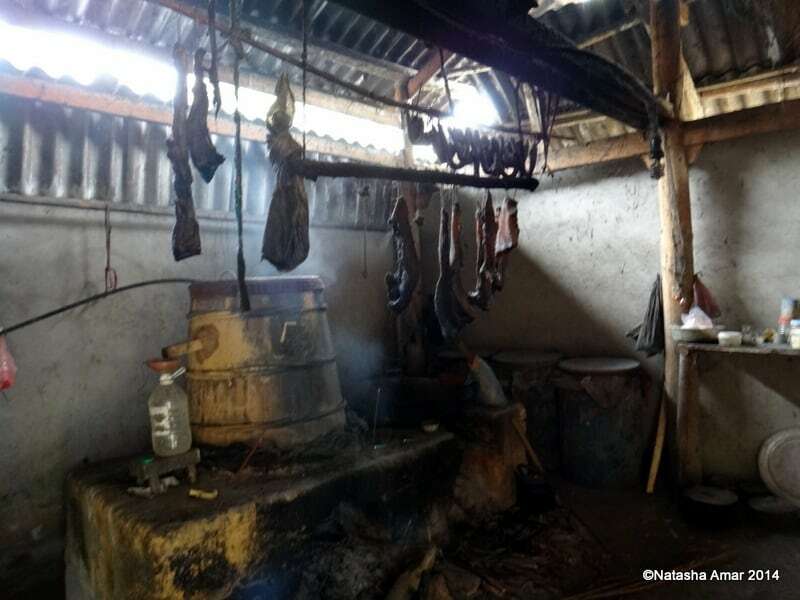 Dogs, roosters, cattle, pigs and even horses are sold in the market and the chaos in there can get quite interesting or annoying, depending on your mood. I absolutely love markets and wandering in them for hours because they tingle all the senses with their sights, sounds, tastes and scents and just have this great energy from all the people, noises, colours etc. I ended up buying a few bracelets for my girlfriends, some scarves, pillowcases and other small gifts. 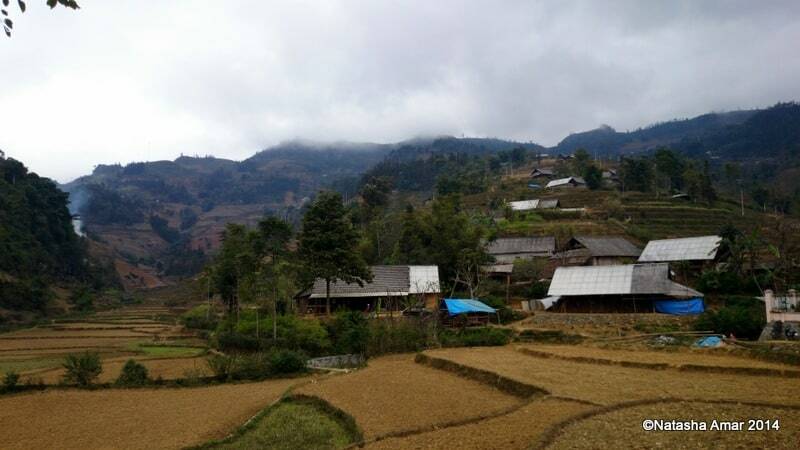 For ideas on what else to do in Sapa, read about trekking to Lao Chai and Cat Cat Village. 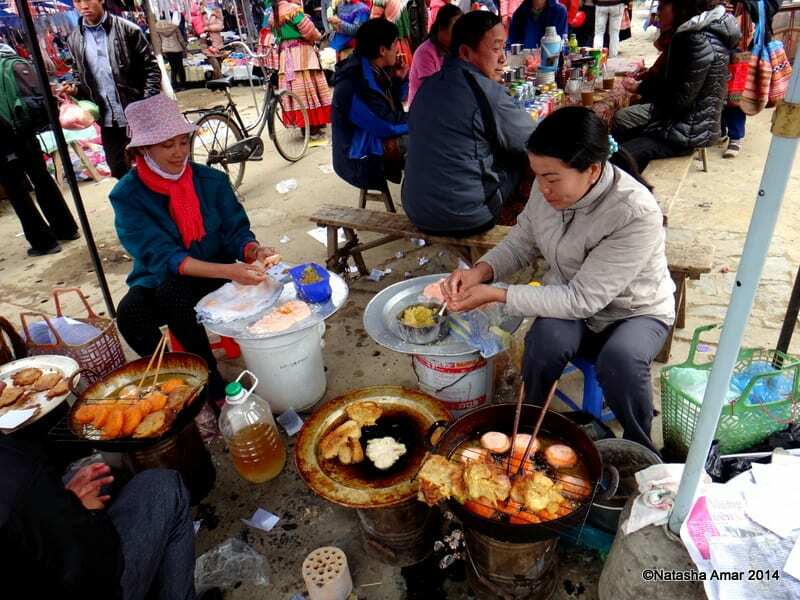 You may also find my list of top 5 places to eat in Sapa useful. 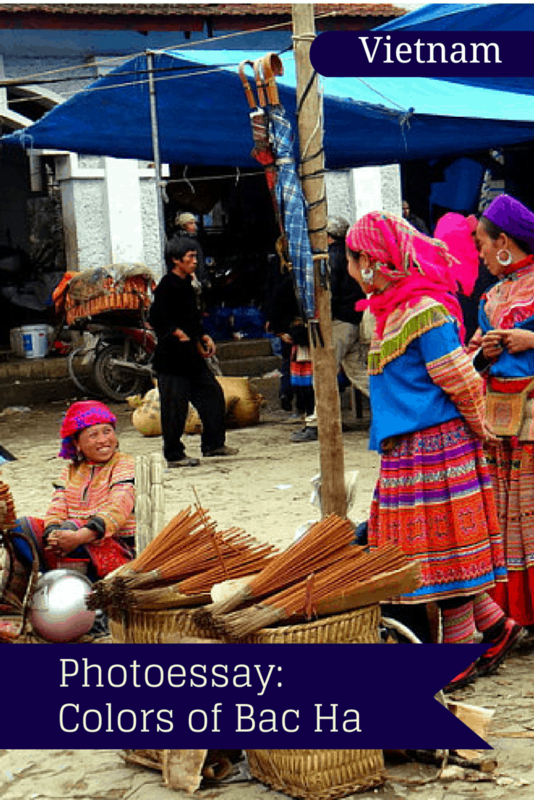 For general tips and info, check out my Vietnam travel blog. Yeah! 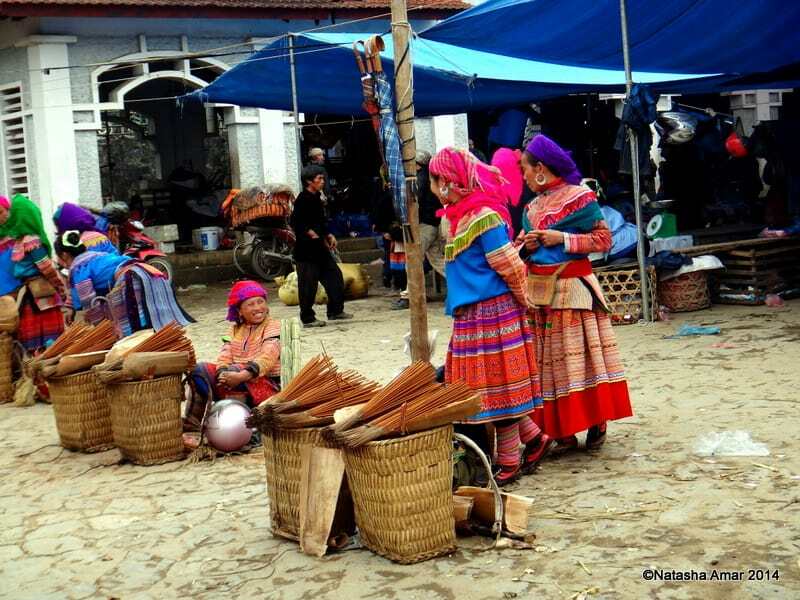 Bac Ha is a must – see destination when you visit Sapa. Concerning the coconut bowels, I think they are not made by local people (hill tribes). 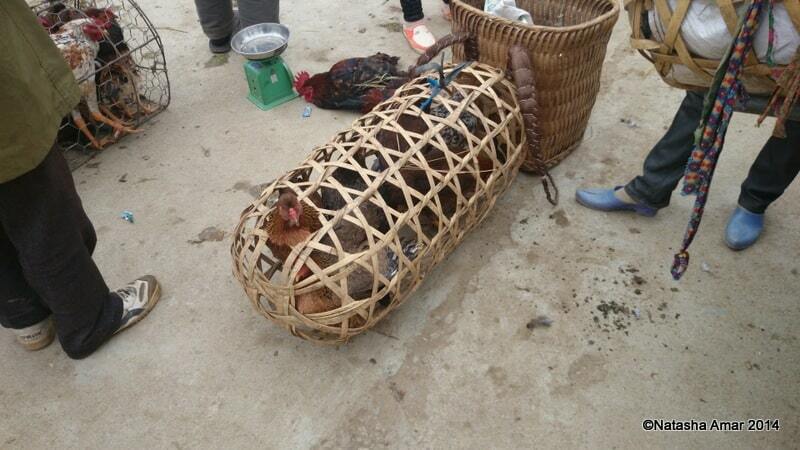 Because Bac Ha is near China, I suspect that those products originate from China. I did not know that but that would explain why I saw these bowls at other markets in the area. Cool photos! I like the horse face and the colorfully dressed women in particular. 🙂 Vietnam has so much of character and charm. Loved it. Nice to know that Vietnam is this. Still. In spite of its torrid history. Great photo essay! I love the diversity in your collection – from people shots to landscapes – and just how saturated everything is. Great shots! 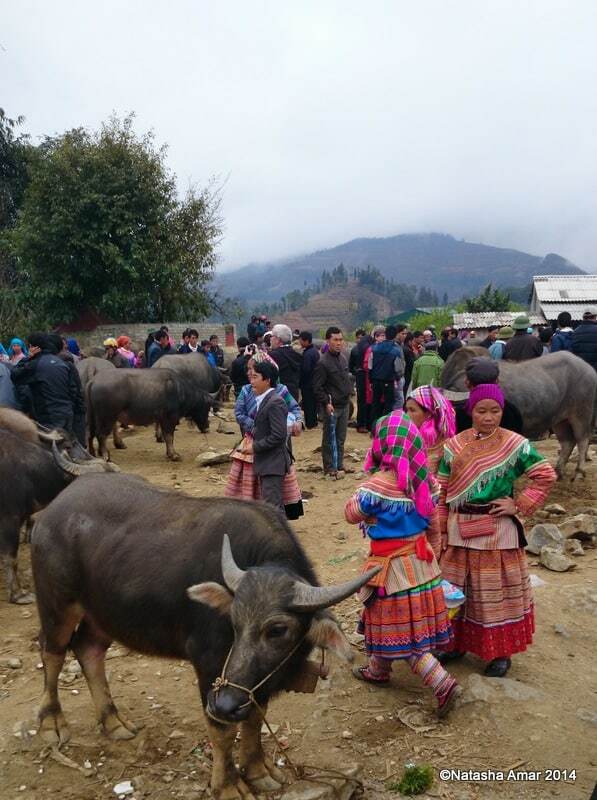 We also visited Sapa and the market, thanks for bringing the memories back! Great photos! I spent about a month in Vietnam but didn’t make it to this area – looks really interesting though! Jon, it was very interesting- the kind of place you can spend hours just watching people, crowds and even animals! Thanks Bob. 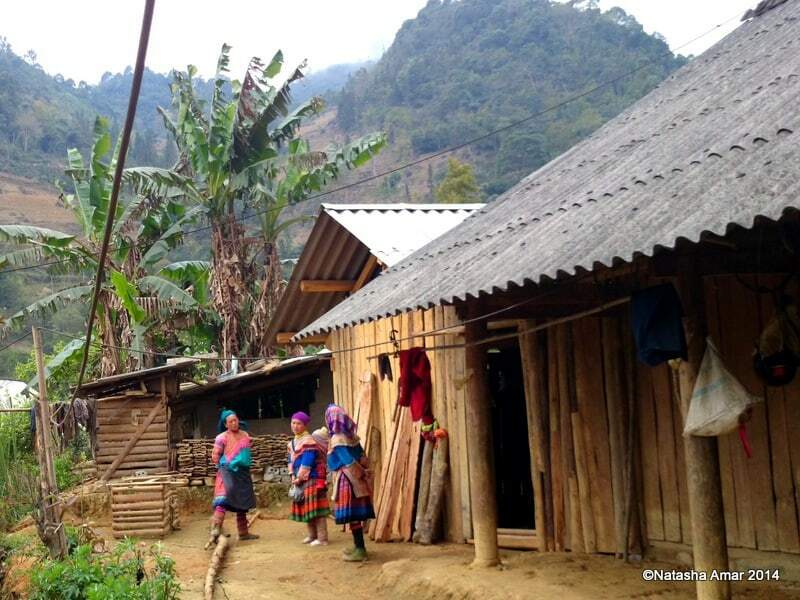 Many villages around Sapa, all good places to explore. Local crafts is something I always pay attention to. However, in recent years, I’ve noticed there’s been an influx of machine-made items, originating in China, in many countries. 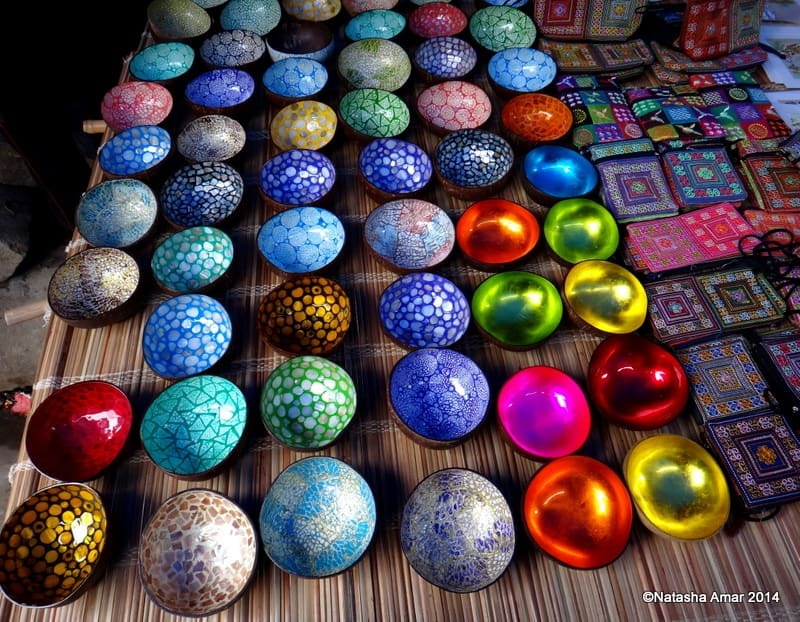 I’m seriously worried that globalization will completely wipe out local craftsmen – have to revisit places like Morocco before it changes irreversibly – this fate has already befallen Turkey and Egypt – so many Chinese-made souvenirs, and so few locally-made crafts, really sad. This is true even in Vietnam. 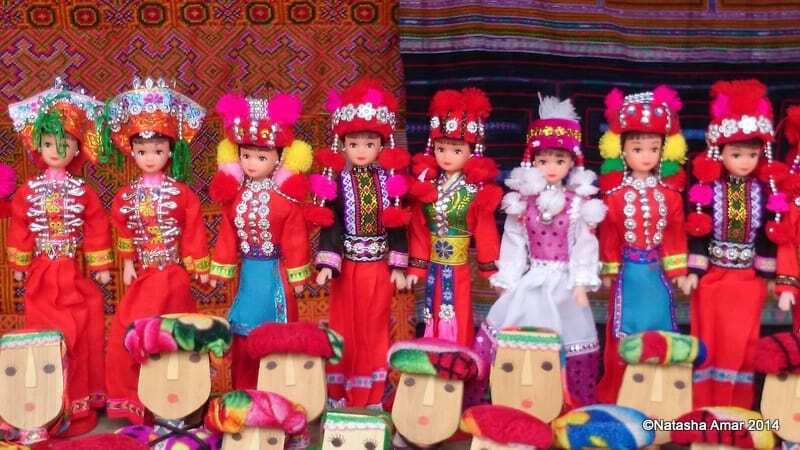 In Hanoi and a lot of shops in Sapa, I saw souvenirs and other items being sold as ‘handmade by the tribes’, but I could tell they were machine made, probably a lot of it in China. My students told me what handmade looks like and I could tell the difference in the weaving and embroidery. It is sad that mass made goods are slowly replacing local crafts in the few places that you can still find them. I would happily pay a higher price for locally crafted items than buy a fake handicraft. At least this would benefit the local community and tribes and I would own something truly unique. Love all those brightly coloured clothes. 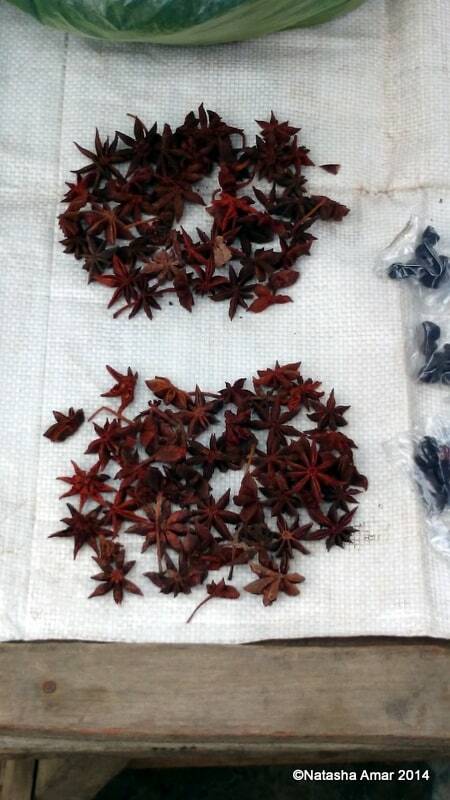 And I’m intrigued by the idea of star anise in tea! I’ll have to head here when I go back to Vietnam, as much as I saw there was a lot more I didn’t! You take some amazing pictures, thank you! Isn’t it always that there’s so much more to see?! 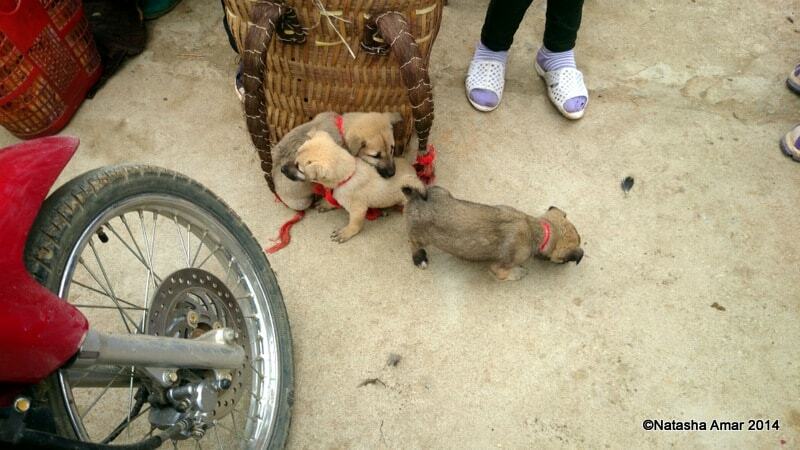 I’m sure you’ll enjoy it whenever you make it to Bac Ha. 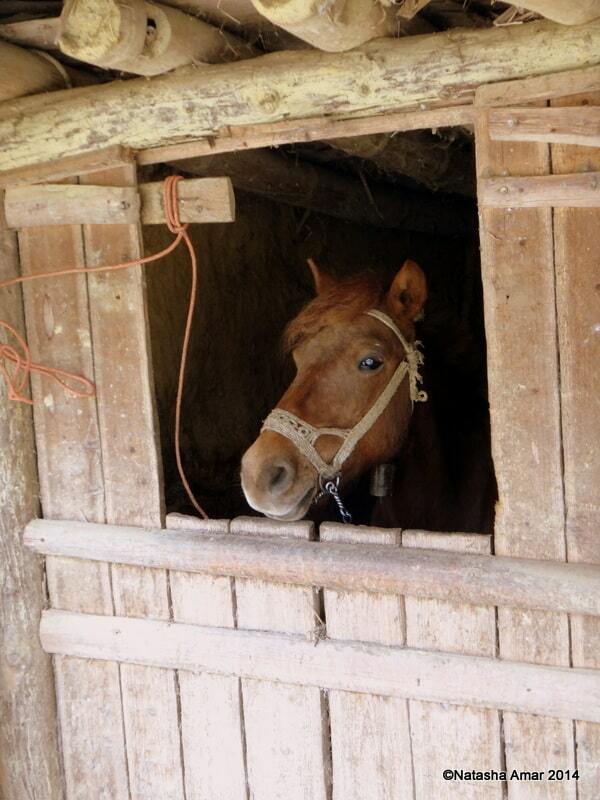 Can’t wait to go to Vietnam, what lovely photos you take! It’s so different from the rest of the busy areas of Vietnam! So beautiful! I’m in Vietnam now and we’re planning to visit Sapa for a few days next week so a trip to the Bac Ha market will be a must! This looks like such a cool market! I love going to markets because you get to see so much of the local life. I’m a fan of the colorful head scarves too. It was an interesting and very busy market. I love all the colors, the clothes, scarves, jewellery and wares, such a beautiful sight really. 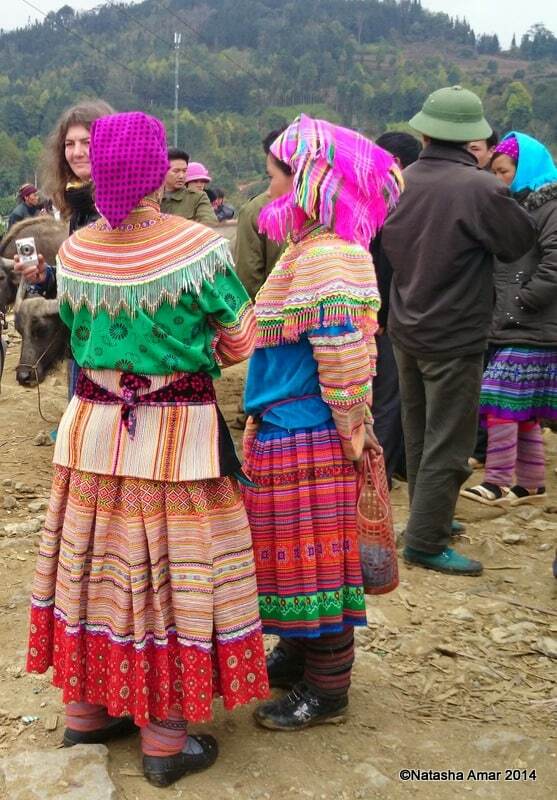 Nice photos – the women’s clothing is so colourful, I really love it. And those bowls! So much colour! OOoo I love markets! I love seeing how resourceful local people can be! 🙂 I went to Vietnam in 2011 but didn’t make it to Bac Ha…..:( Maybe next time! Looks like a lovely place! I wish I had been able to visit this area, including Sapa, when I was in Vietnam. Now I really want a collection of those coconut shell bowls! I do love the colorful bowls! 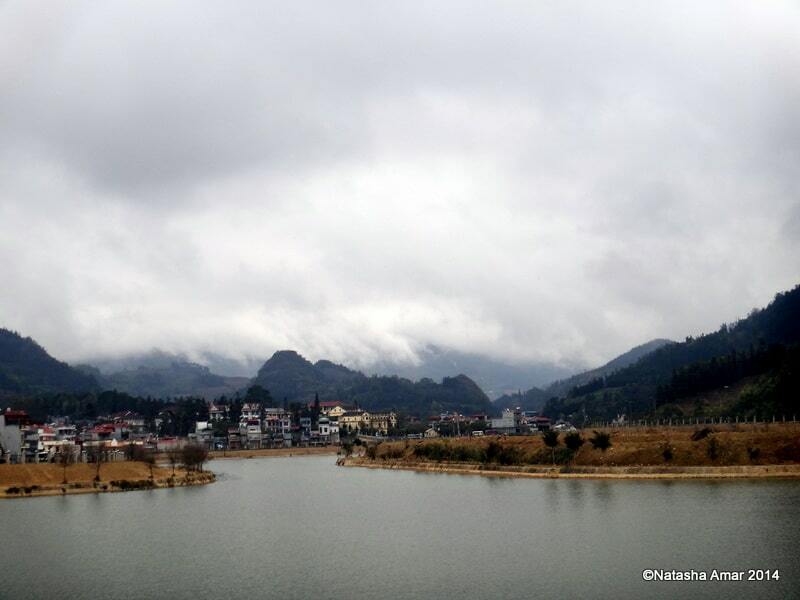 There’s always next time, Sapa is a lovely place. Absolutely beautiful all the colors in these pictures. Congrats! Thank you Sandra, I’m glad you enjoyed the post. This is a fascinating look at a part of the world I’ve yet to visit. 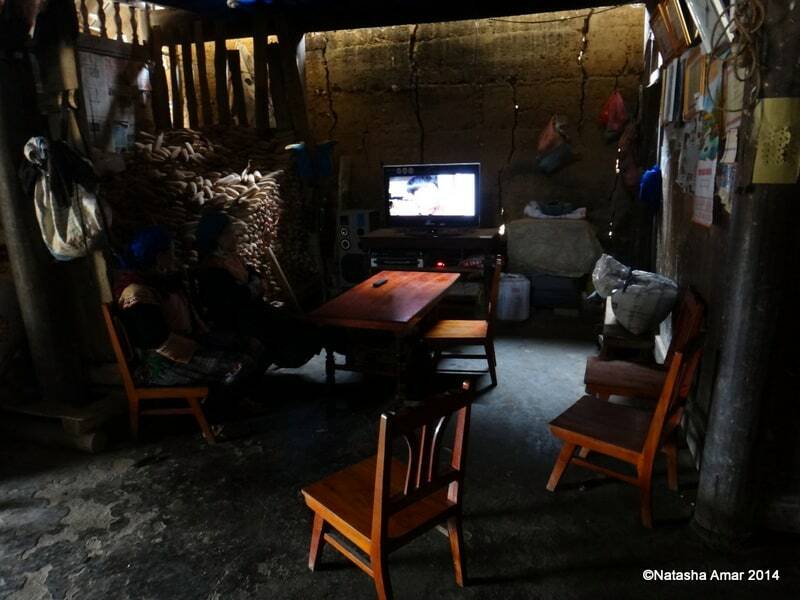 The colors are very striking and the visit inside the home was really interesting.. Thanks for the visual tour! You’re very welcome. 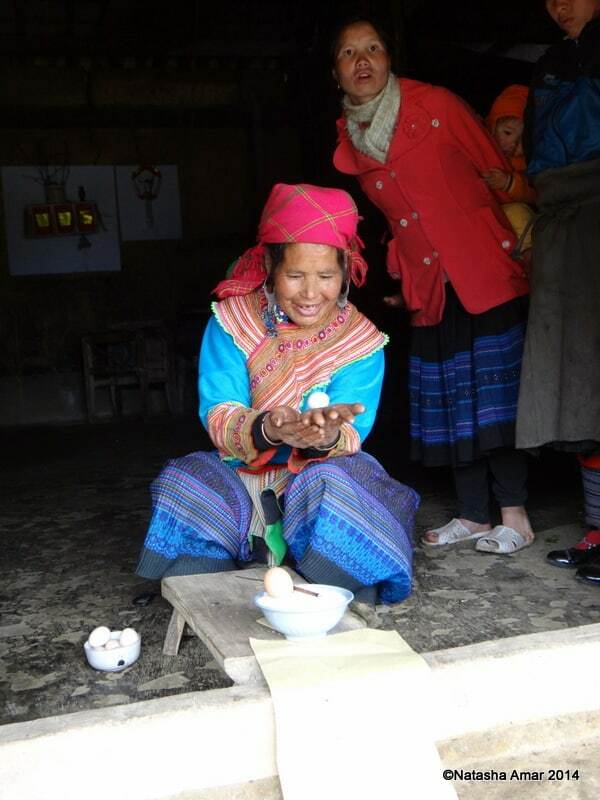 Do include Sapa in your list whenever you make it to Vietnam. Thanks for the support and for visiting the blog. I once went to a Vietnamese market in the Czech Republic (surely not as nice as in Vietnam) and it also took me hours to go through and see everything, so I understand where you coming from lol. I love the coconut bowels, would definitely pick one up. I saw so many interesting, unique and beautiful things in the markets in Vietnam. It was hard to not spend all of my money there!